Oregon grape, traditionally used to promote the health of the skin as well as to assist in alleviating chronic skin conditions, contains berberine, an antimicrobial alkaloid that is also found in golden seal root. 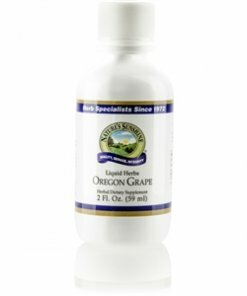 Nature’s Sunshine Oregon Grape is highly concentrated and comes in this all-natural glycerin-based liquid formula for easy absorption by the body. Instructions: Take one-quarter to one-half teaspoon (1.25 to 2.5 ml) in water with a meal three times daily. 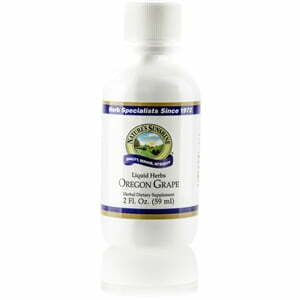 A natural and pure extract composed of the finest oregon grape (Mahonia aquifolia) root bark in vegetable glycerin.